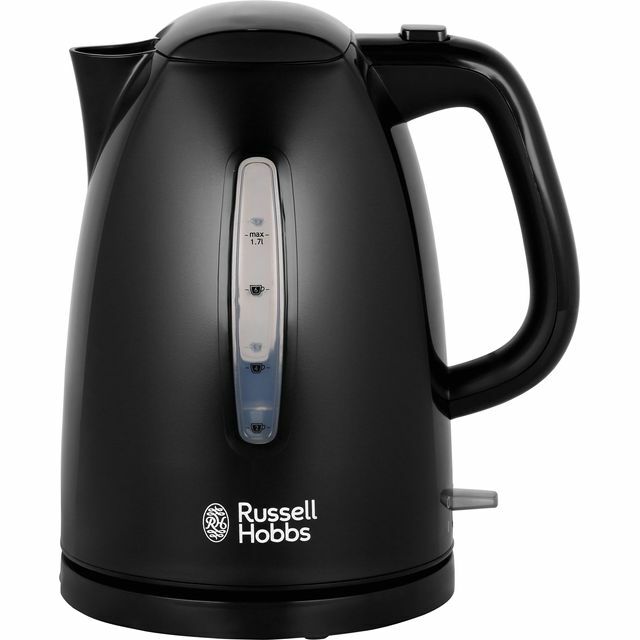 Create hot drinks with ease with this black kettle from Russell Hobbs. 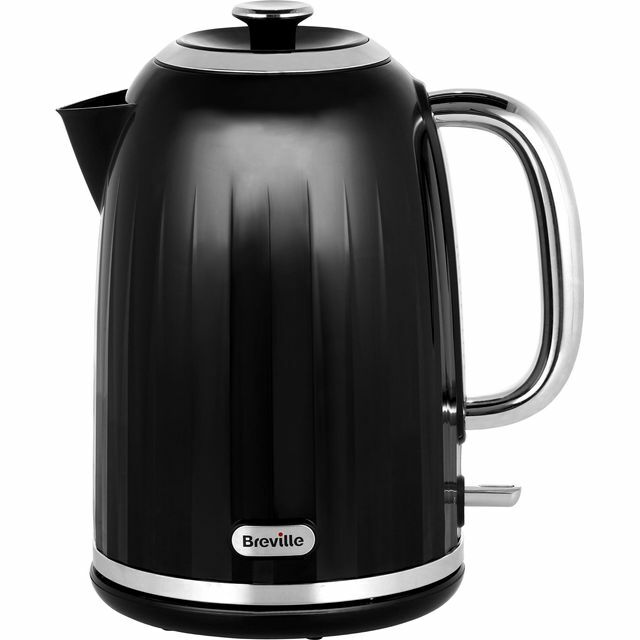 Its 1.7 litre capacity can make up to 7 cups of tea or coffee at once, and with a 3000 Watt power output, you won’t be waiting long to enjoy them. 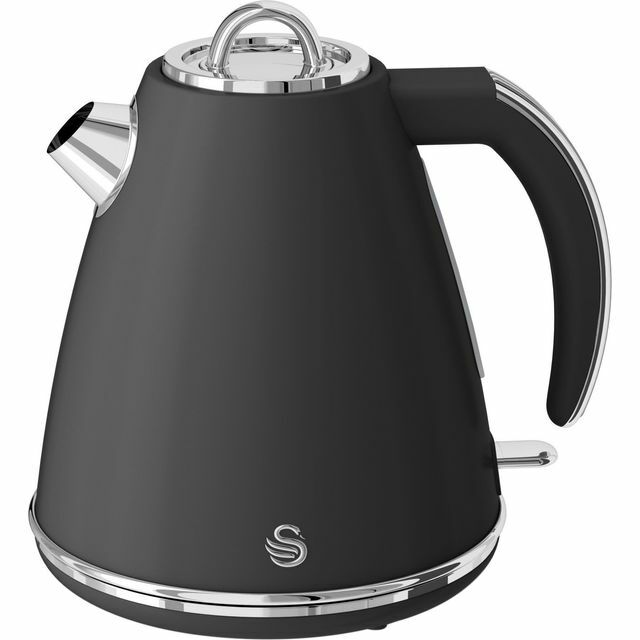 The 360 degree connection lets you place the kettle anywhere on your kitchen worktop too. With boil dry protection, you won’t accidentally cause any damage if you forget to fill it up with enough water. Any imperfections are removed thanks to the washable limescale filter, so you can enjoy great tasting drinks, cup after cup. Good kettle. Boils extremely quickly. The stand is also easy to use and it pours accurately. I did not experience any tainted taste as some people have complained. 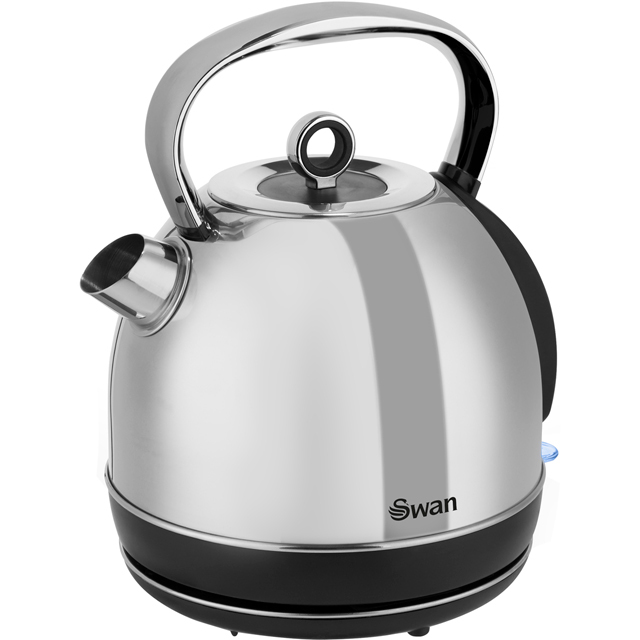 The kettle opens easily and there are clear markers for the rapid 1-3 cup boil zones. It boils really quickly for these amounts of water! 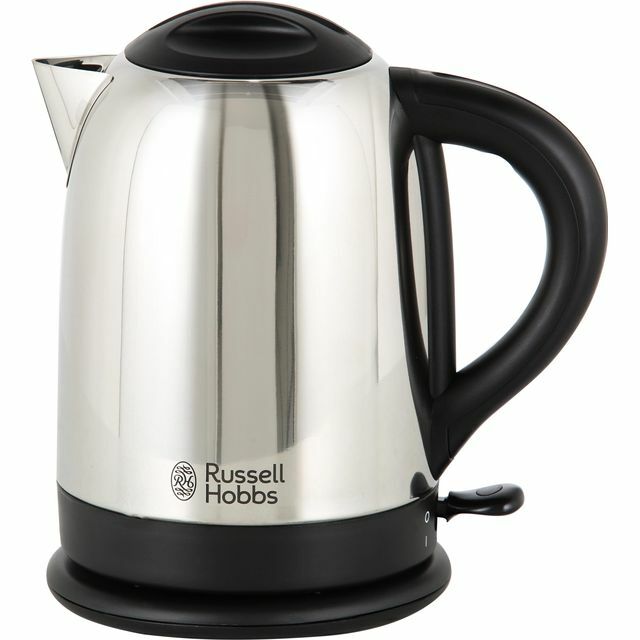 Fairly noisy, but I do not have much experience with other kettles to compare. Seems to be good quality. Great price. Very well packaged. Fast boil with no drips and easy to wipe clean Very happy with this product. Great price, nice grip and colour.Quick boil.Woud definetly recommend. I like that this kettle is lightweight, so easy to lift, even when full. The only disappointment is that the opening to fill the lettle is quite small, so when filling from a filter jug, instead of from the tap, it can be awkward.